Josh Phegan is one of Australia’s leading coaches and trainers, specialising in fee justification, negotiation and influence. He has just spoken at this years (2018) EA Masters and delivered a 20 minute talk packed full of tips n just this. 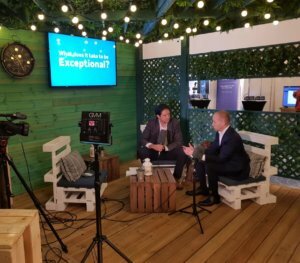 We caught up with Josh on the Rightmove stand and asked him to expand on some of the key messages he delivered. Giving you exclusive access to find out more from the man with the answers.